The High Voltage Bass Anglers is a group of anglers dedicated to the promotion of john boat tournament bass fishing on smaller lakes in the North Georgia area. Several year ago, numerous counties in Georgia began to build reservoir's to supply water in times of drought. These reservoir's have now turned into some of the finest bass fishing "hot spots" Georgia has to offer. Many were stocked with the hybrid Florida strain because of their faster growth rate & aggressive nature. All are closely monitored be the Department of Natural Resources, where "creel" studies are regularly performed, and used to maximize their "trophy" potential. Many of the lakes were created in area's where fertile farmland nutrients have only accelerated\this "trophy" process. Largemouth bass caught in the 10+ pound range are not uncommon and numerous have been caught in the 14-16 pound range. 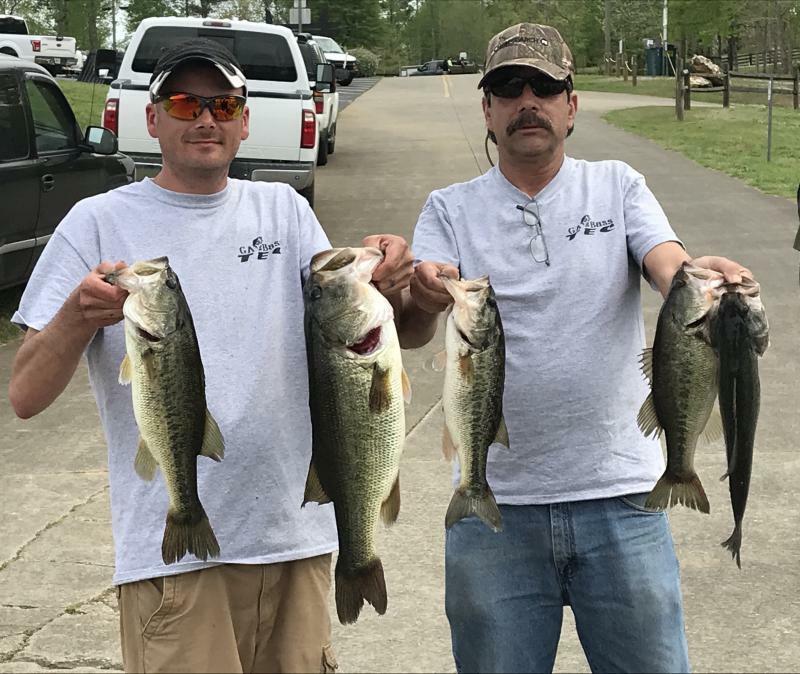 The High Voltage Bass Anglers welcomes everyone with a johnboat, trolling motor, live well and a sense of bass fishing adventure. Smaller, 10 hp gas motors are allowed provided there are no lake restrictions. Aerated coolers large enough to maintain a limit of fish are permitted. Since the High Voltage Bass Anglers is catch & release, we like to do as little harm to the bass as possible. All of our spring/summer events have a 100% payback schedule, including the yearly membership fees. Copyright 2018 High Voltage Bass Anglers. All rights reserved.